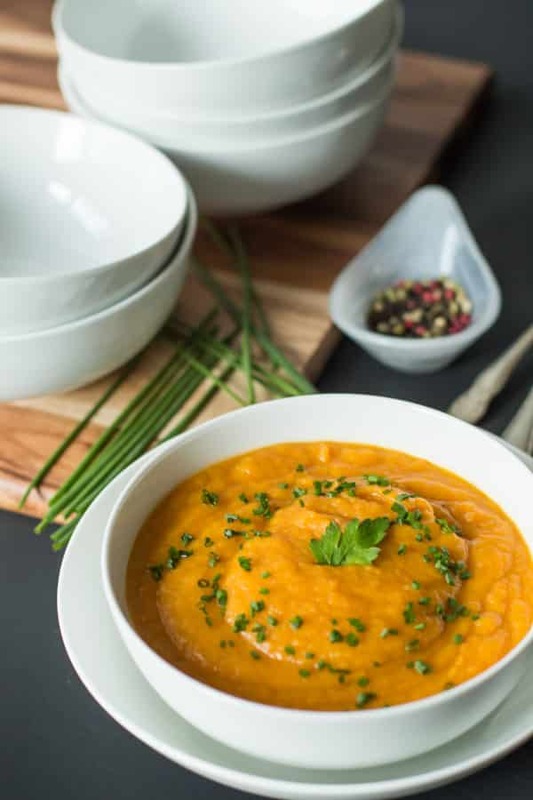 This creamy, gluten-free, paleo-friendly and whole30 Carrot Parsnip Soup is a delicious dinner or lunch option for this cold weather. Looking for an easy, comforting meal? 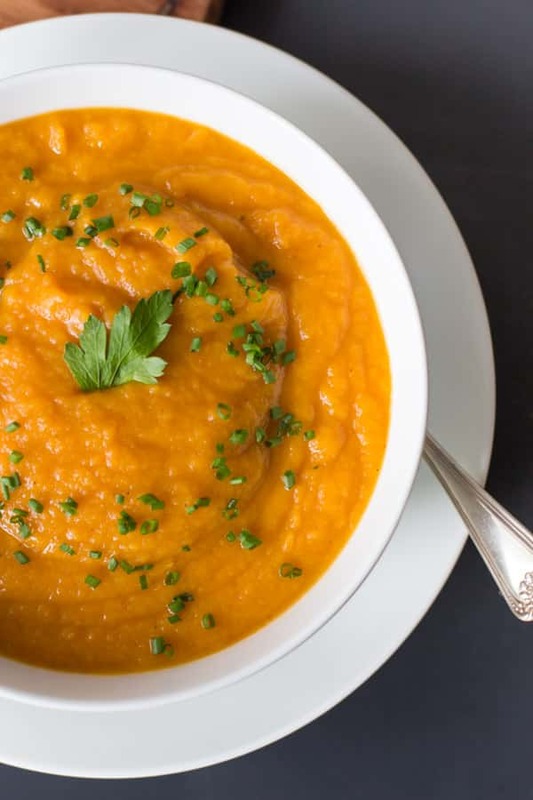 This Carrot Parsnip Soup only requires a short list of ingredients and adds up to a whole lot of nourishing goodness in a bowl. I can guarantee you’d love this comforting soup for your busy weeknights! This is definitely the easiest recipe ever because you just need to chop the veggies and basically throw everything in a pot, simmer it, purée it and you are ready to taste it. 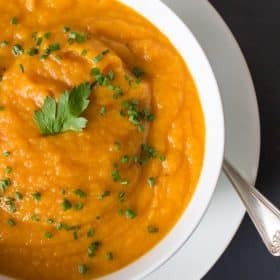 I am sure you will love this quick and simple soup because this is really delicious and it has everything you expect from a Carrot Parsnip Soup recipe: creamy, slightly sweet and flavorful. 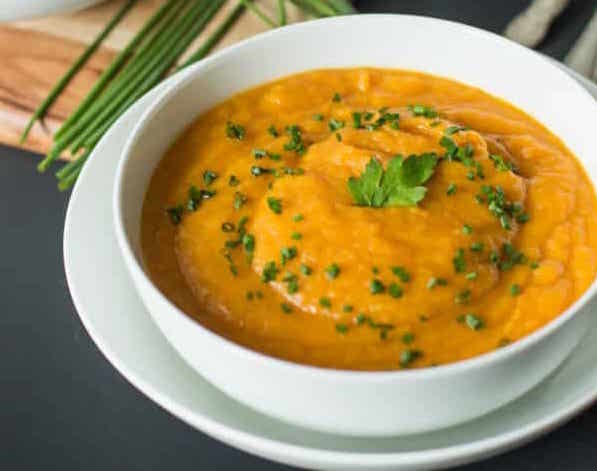 Spicy Carrot Soup: This soup will warm you up on those chilly night. It is made with carrots, curry, garlic powder, coriander and a little bit of cayenne pepper. 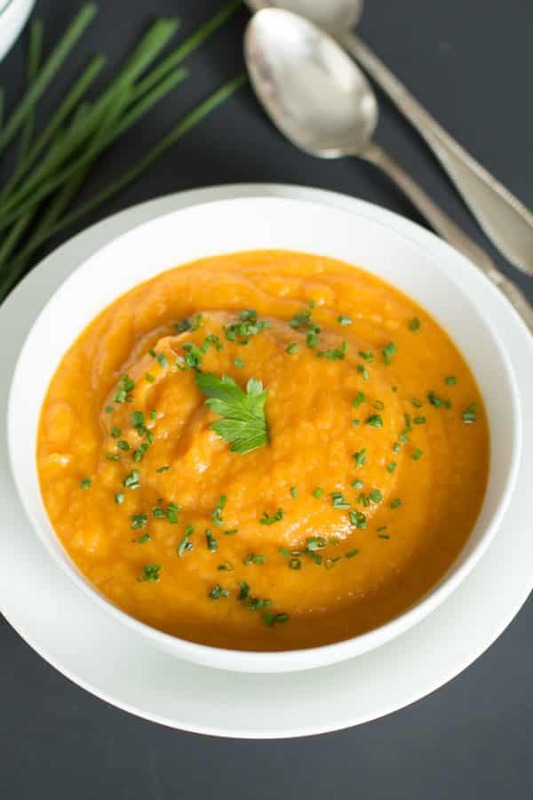 Carrot Leek Soup: It’s made with a classic carrot-leek combination. It’s easy to simmer up, perfect for a cold or busy day and it tastes AWESOME! 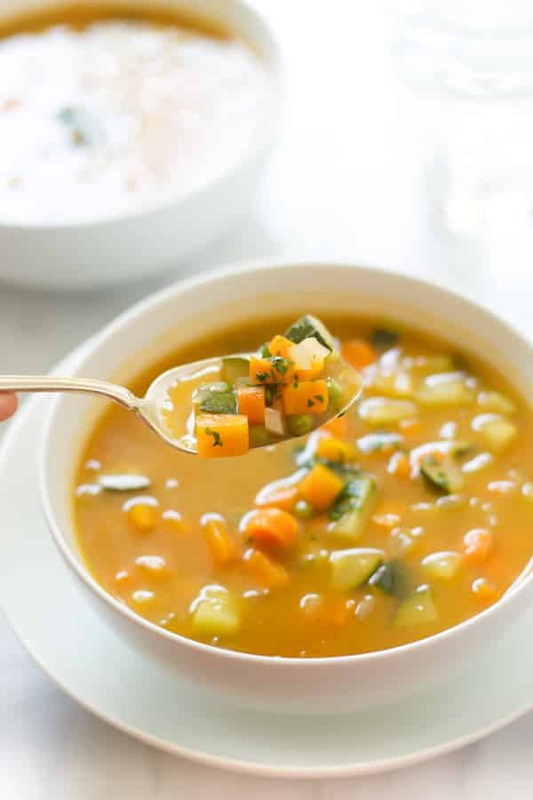 20-minutes Butternut Squash Soup: It’s a simple, easy and delicious quick healthy lunch to enjoy during fall/winter cold-weather. It’s paleo, Whole30, gluten-free, dairy-free and low-carb. In a large pot over high heat, add olive oil. When the pan and the oil are hot, turn the heat down to medium and add the onions and celery. Cook until onions are translucent. Add the carrots and parsnip along with 4 cups of vegetable broth. Bring it to a boil, cover, and cook for about 20 minutes or until the vegetables are soft. Add paprika, garlic powder, chili powder, salt, and pepper. 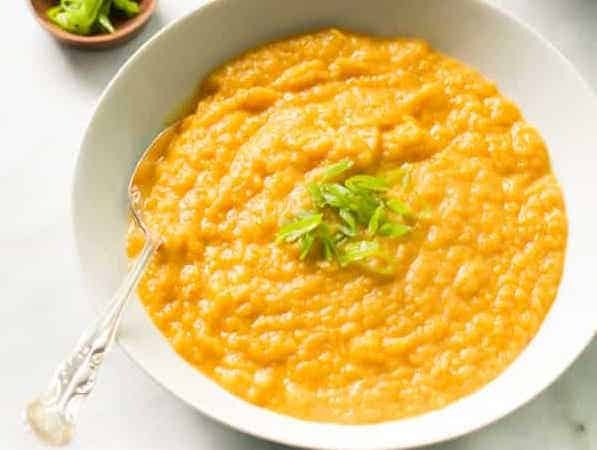 If you like this Carrot Parsnip Soup recipe, please share with your friends and family. Do you want to taste more? Subscribe to my newsletter and follow Primavera Kitchen on Twitter, Pinterest, Google+, Instagram, and Facebook for all delicious recipes updates. As always, I really appreciate you stopping by. This Zucchini Soup is so fresh and summery! This picture speaks for itself! 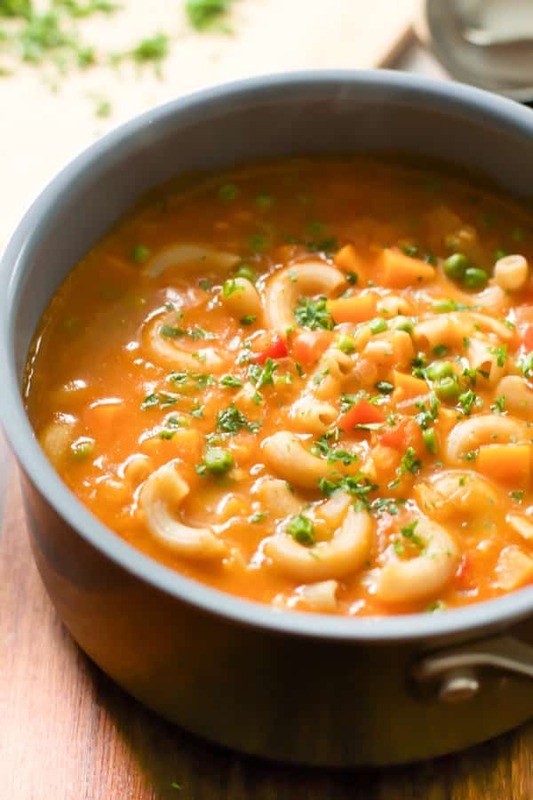 This Pasta Soup with Sweet Potato and Peas is delicious! 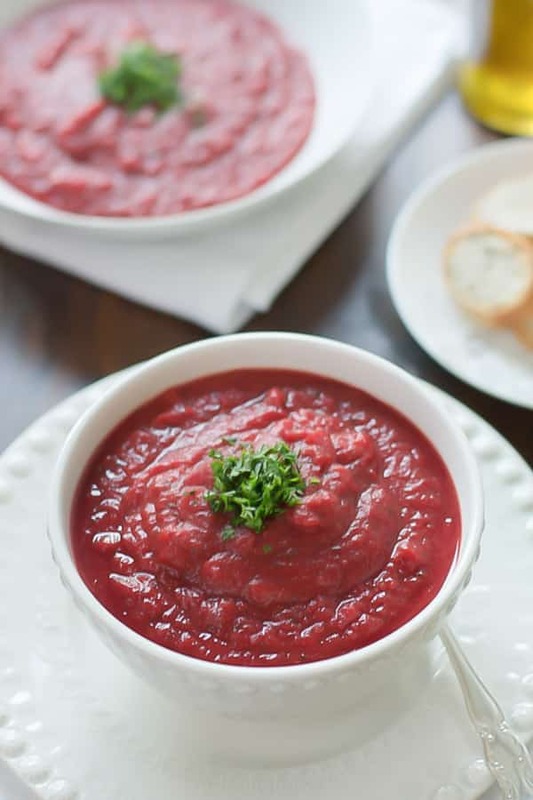 I love the combo of this Beet and Sweet Potato Soup! Yummy! I could do with a bowl of this now! 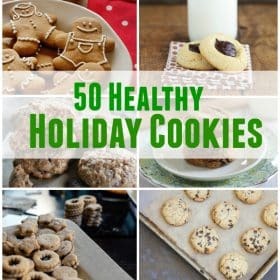 I have all of these ingredients already at home! I think you just decided dinner for me : ) Hope you’re having a great time in Brazil friend! Very v Interesting,must find my way to dat site too!! !U come up with lods of ideas galore for us and introduce us to some really good deliciousness!IF am ever in Mexico, will definately look out for this!! !Super weekend to u!!! Wow that color is gorgeous! What a comforting winter soup!! I started a blog last year and put a list of quilts I wanted to finish this year. I didn’t reach my goal, but it did help me keep track a little better of what I have started. I’ll be adding to the list in a day or two. I’m a little skeptical at first because of the texture, but I think I would like it. I like your white bowls stacked in one of the pictures! This soup looks delicious, Olivia! I love the pretty color and how creamy it is. Perfect for the winter! This soup looks so good! I love the vibrant color, so healthy! This soup looks amazing, Olivia! Love the wonderful and bright color! So pretty and I bet it tastes delicious! I’d love a big bowl of this for lunch right about now! All I can say is – Que rico!!!!! This looks delicious! 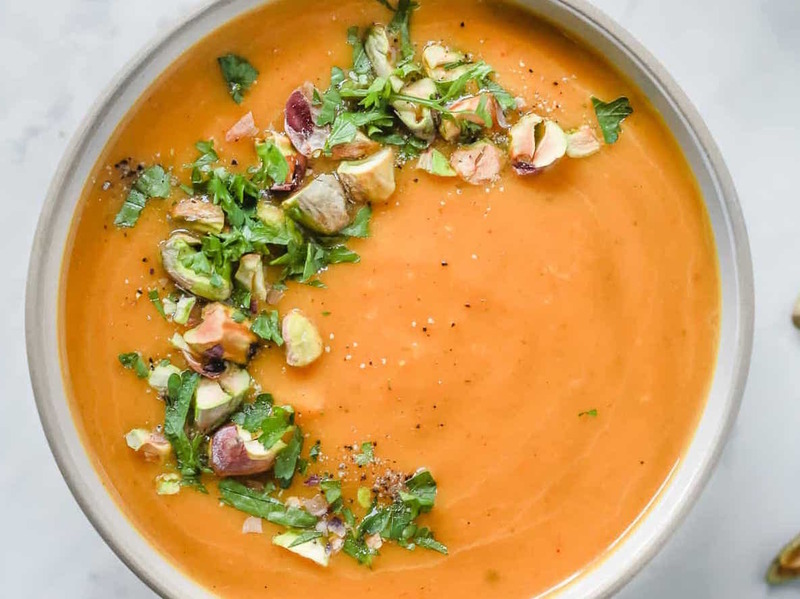 I was searching for some summer soups now that the weather is getting colder here in Madrid. Love your blog! 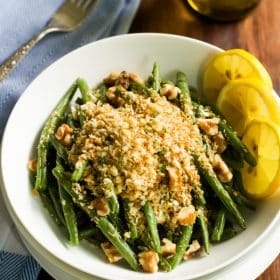 Just tried making this, and it turned out delicious! Reminds me of a squash soup but better, less sweet which was nice. I had all of the ingredients and was looking for a way to use up my parsnips. I was skeptical, but oh my goodness!! The taste is incredible!! Definitely adding to my soup rotation…can’t wait to make it for my mom! Thank you. I look forward to trying more of your recipes. I just made this last night.Mine did not turn out thick like in pic.The taste is good,but likes eye appeal. Made this tonight, it was delicious. Added a bit of tumeric and cumin for a bit of spice. We finished all 4 servings for dinner, will definitely make again. Thanks for the recipe.